Getting there is as much about the journey as the destination. Excelsior Mine Road: This route is passable to all high clearance vehicles, and possibly passenger cars. Head up in elevation to the Kingston Range and pass by beautiful Horse Thief Springs. 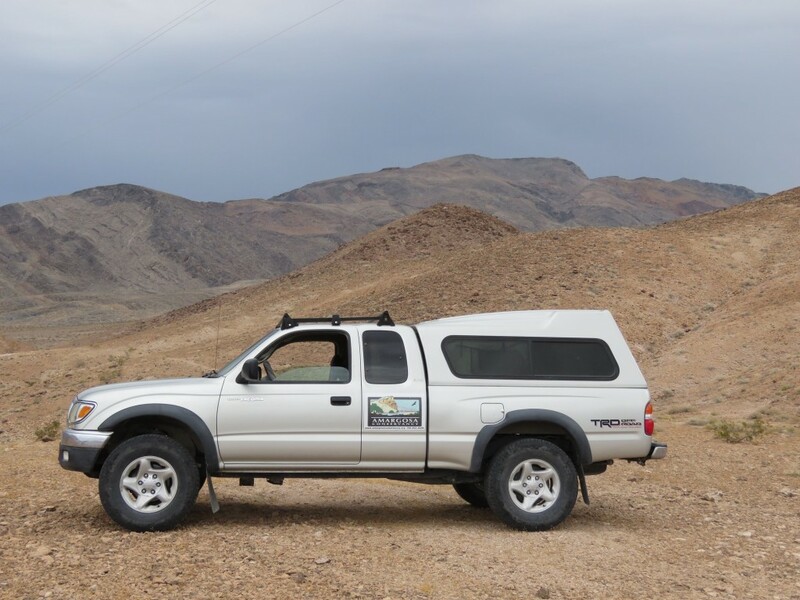 From Tecopa, take Old Spanish Trail east toward Las Vegas, and turn off 0.5 miles outside of town onto Furnace Creek Wash Road. Follow this road for twenty miles up into the Kingston Range. 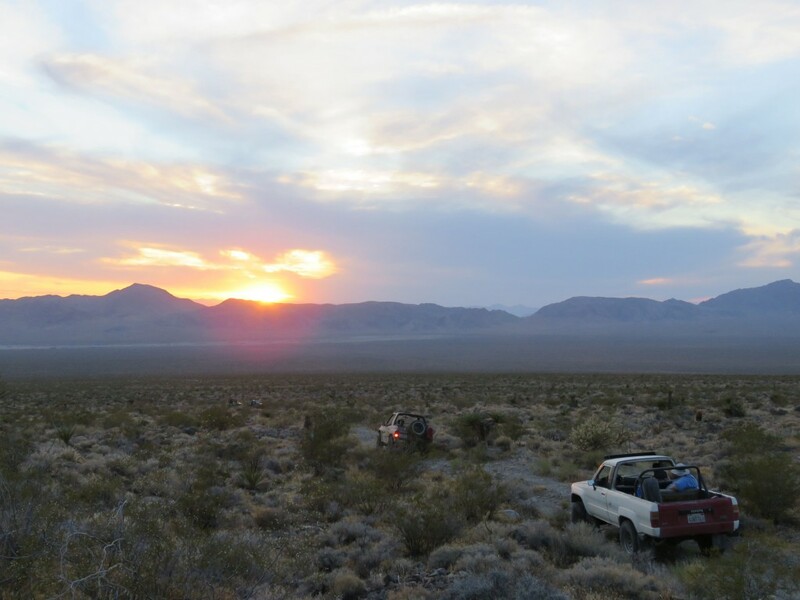 You will pass Crystal Spring, the Beck Mine, and Tecopa Pass before coming to the old cabin and rich willow forest of Horse Thief Springs. You can continue another 21 miles through the Shadow Valley to I-15 at Valley Wells. Greenwater Valley Road: This route is passable to all high clearance vehicles, and possibly passenger cars. 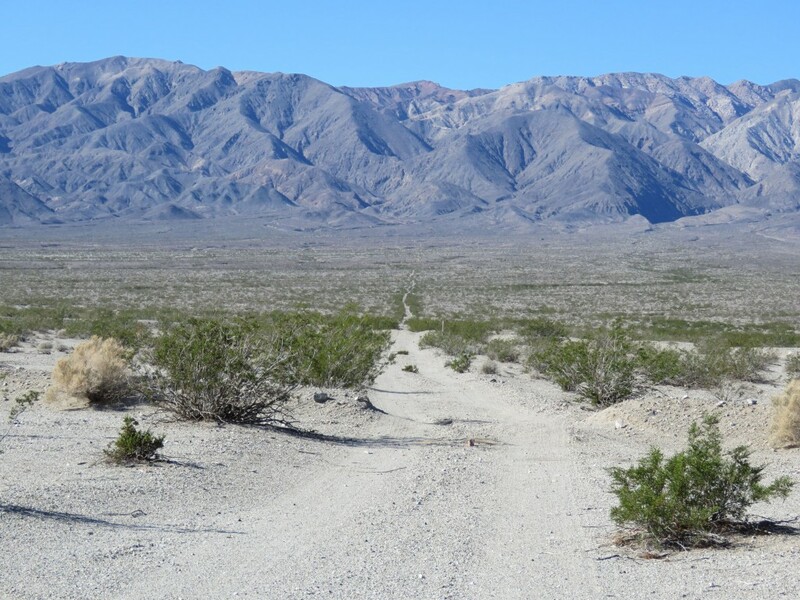 Take a long dirt road through a remote desert valley in Death Valley National Park. From Shoshone, head north on Highway 127, and after one mile, turn left onto Highway 178 toward Badwater. In six miles, turn right onto Furnace Creek Wash Road. Now don’t turn for the next forty-five miles! Enjoy the long dirt road miles, and stop to explore the old volcanic buttes and sandy washes of Greenwater Valley. This road emerges onto the Dante’s View Road- a right turn brings you to Highway 190. 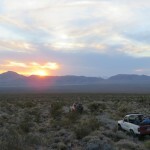 Chappo Spring Loop: This is a very rough 4WD route and should only be attempted by experienced drivers. 3.5 miles north of Shoshone, take the dirt road that heads east, marked with a white pole. The next five miles are extremely rocky, and require negotiating several very deep washouts. In due course, you arrive at Chappo Spring, which is privately held. Please respect the rights of the landowners as you pass through. 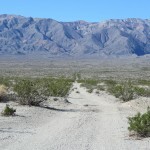 The road curves around the spring and heads south for Tecopa, following numerous braided washes through mudhills. The road emerges four miles later in the alkali marshes and mudflats surrounding Tecopa Hot Springs, rejoining pavement just outside of town. Disclaimer: These route descriptions are for entertainment purposes only and should not be relied upon as sole directions. Be sure to obtain a quality map of the area and know how to use it. Always carry several gallons of extra water and generally be prepared to take care of yourself should something go wrong out there. This is remote country- you don’t want to screw up here. OwlsheadGPS is a mapping website put together by Friends of Jawbone. It is a wonderful resource for locating which routes are open to vehicular travel.